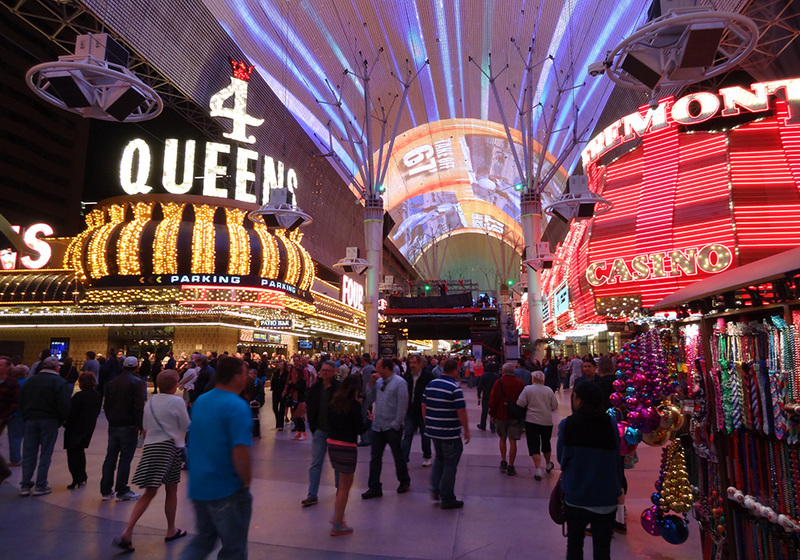 Here’s one of the top free activities in Las Vegas—walking around Freemont Street in the original downtown. You’ll see the biggest big screen on the planet offering shows every 30 minutes, street performers donning popular costumes, showgirls dancing, various artists exhibiting their talents, and hear toe-tapping, dance-inducing live music. 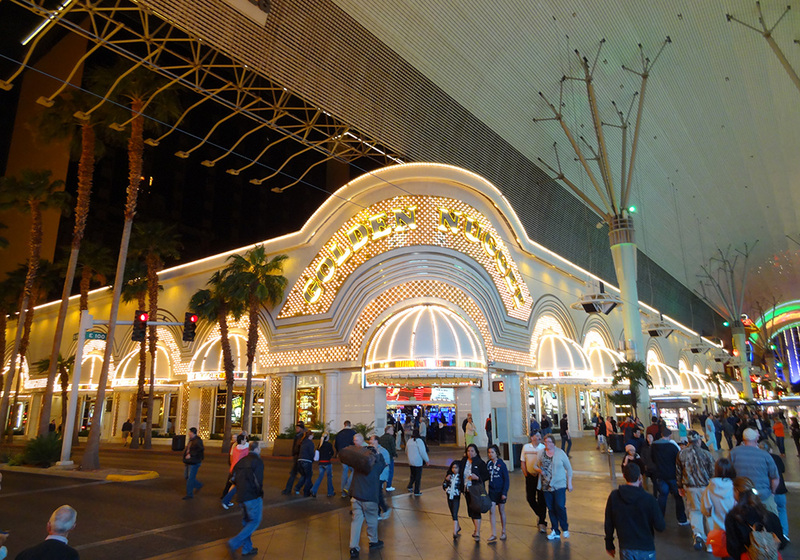 I’ve walked around Freemont several times, most recently two evenings ago, on a Tuesday night. 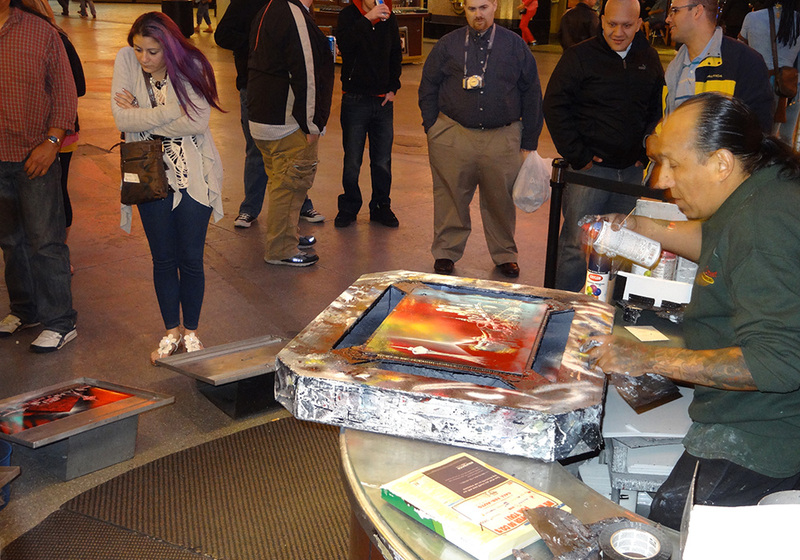 The crowds feel fun and bustling, but not overwhelming, with a lively mix of locals, tourists, families, and groups. 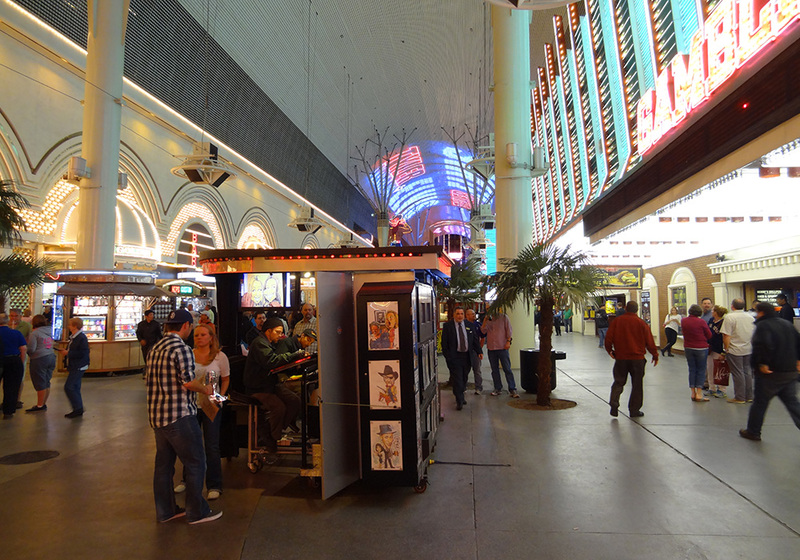 The two block walkway is easy to manage and offers a wide variety of entertainment. 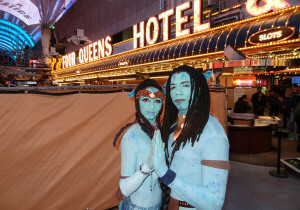 If you want to spend a few bucks your money will go far—lots of cheap drink specials, funky art, Vegas souvenirs, and street performers to take pictures with. 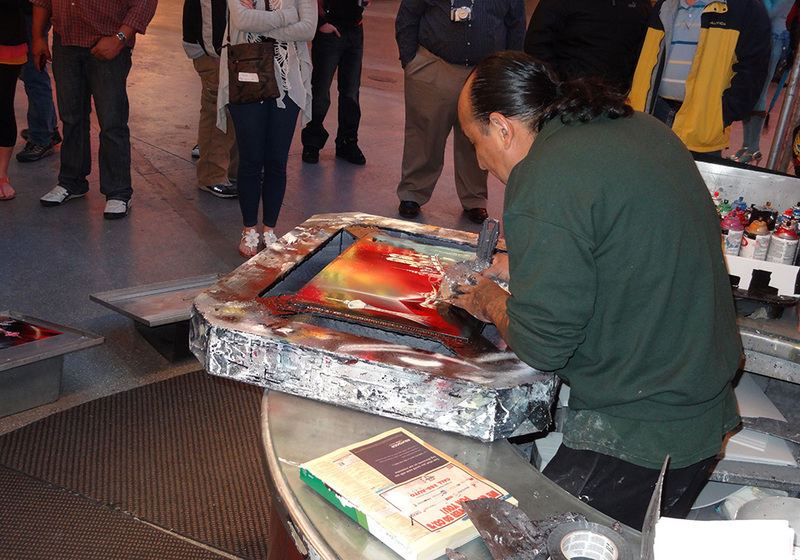 Last Tuesday night I saw Tony, a popular and highly-skilled, speed spray-paint artist. A crowd surrounded him as he cranked out vibrant, detailed pieces within minutes. 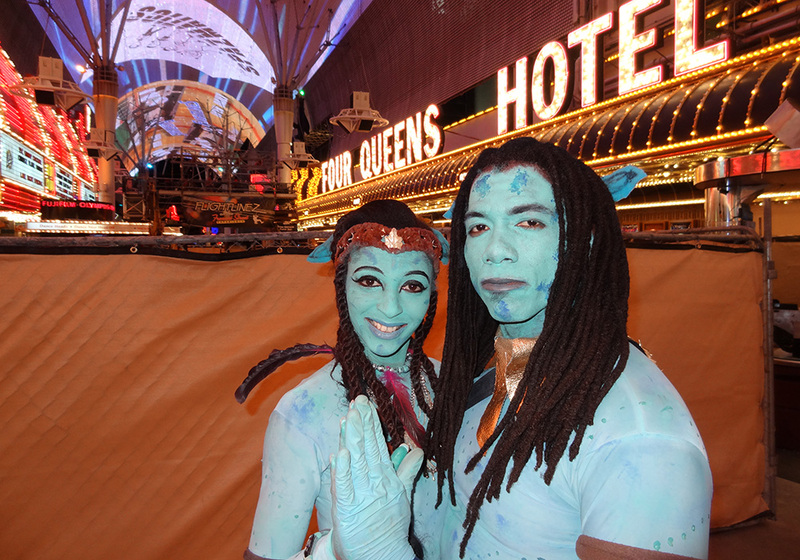 Two “Navi” characters–from the movie Avatar–looked the part with lean, bright blue bodies. I paid $11.95 for the steak special at 4 Queens. 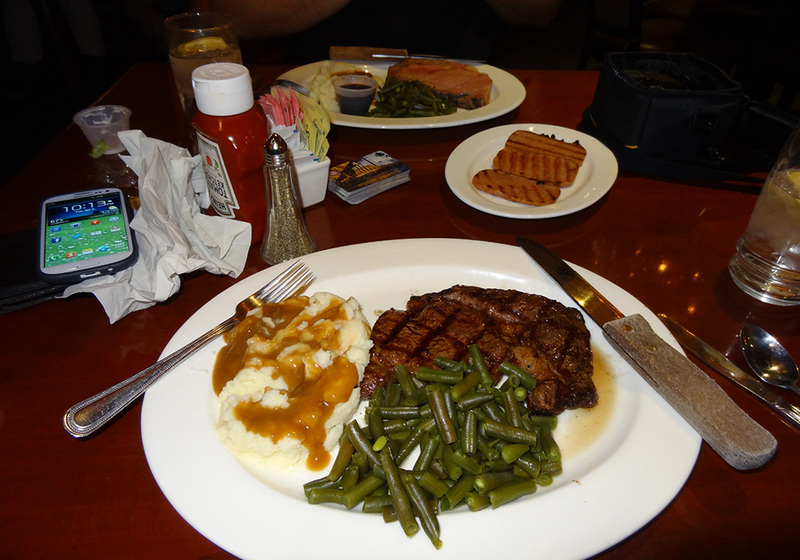 Pretty awesome price for a thick, flavorful, juicy ribeye cut. Another fun thing to watch—and I plan to try soon—is the Flightlinez. You’ll see people whizzing above you and past you on zip-lines that span much of the distance underneath the big screen. http://flightlinezfremont.com/ The short videos below capture this, along with several other happenings. 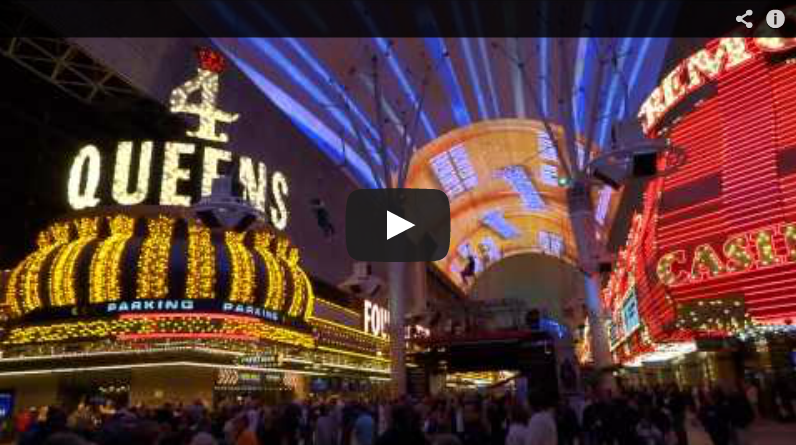 Another inviting plus: $350 million worth of renovations are underway in the downtown area. We will be covering these more in detail soon.